This Cranberry Margarita post has been sponsored by The Coca Cola Company. All thoughts and opinions are my own. 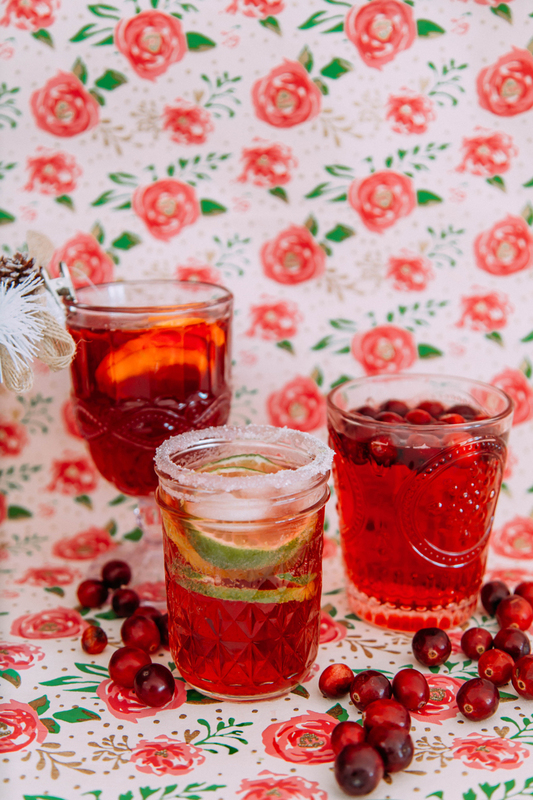 'Tis the season of festive drinks, and nothing looks more in keeping with the season than Cranberry Margaritas! The festive feel of this drink makes it look great at any holiday table, and the sweet + tart kick is a refreshing addition this time of year. 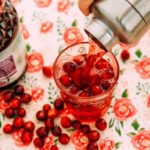 We partnered with DASANI® Sparkling to create these 3 Cranberry Margarita recipes. Using the flavored DASANI® Sparkling water of your choice instantly brings the margaritas up a notch! Pop into your local Safeway to grab all the ingredients needed to make a festive bar filled with sparkling fun! 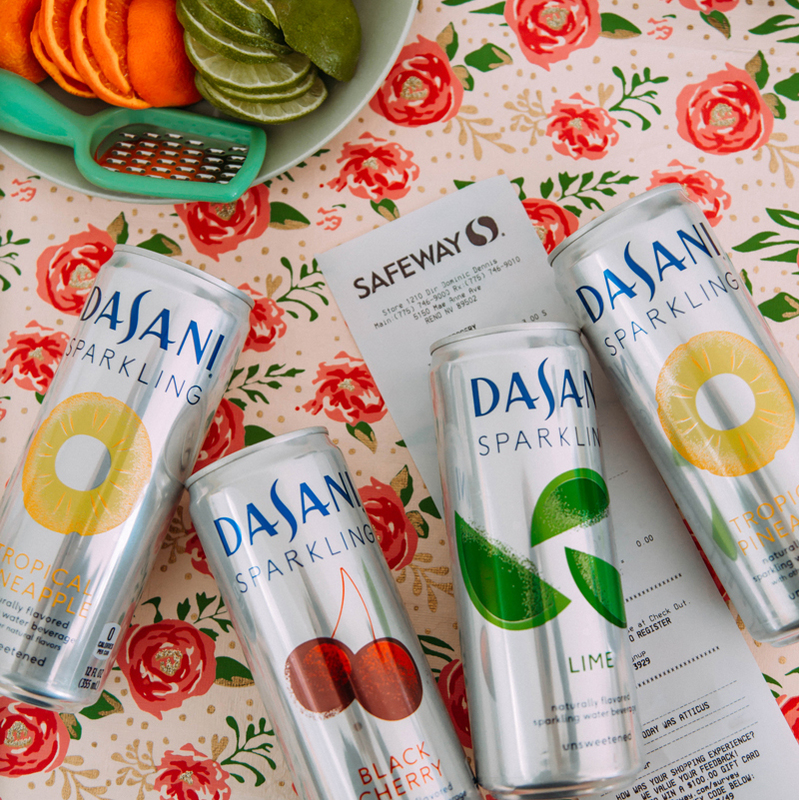 DASANI® Sparkling is a line of flavored sparkling water. Each delicious flavor is unsweetened with no artificial flavors and zero calories. Let's start with the Cranberry Margarita recipe base to get us started. To create a basic but amazing Cranberry Margarita, follow this three-step recipe. 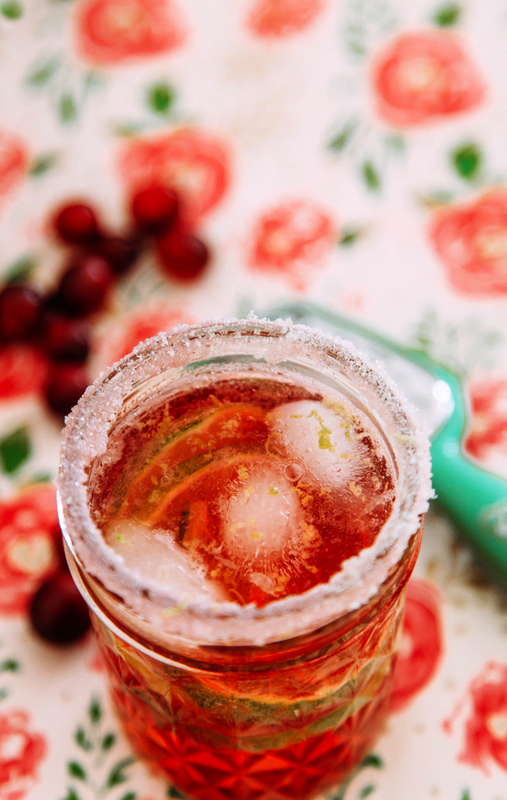 The classic cranberry margarita recipe with a sparkling twist. Combine top 4 ingredients in a cocktail shaker with ice cubes and shake to combine. Strain into glasses and top with sparkling water. Add in garnishes such a limes, oranges or cranberries. Now for the twists! Make your cranberry margaritas more fun with these 3 optional twists to our traditional Cranberry Margarita recipe. To create this Cranberry Margarita with a spicy kick to it, add a dash of paprika and a cut-up jalapeno pepper to the above recipe in the cocktail shaker step. Do a sugar rim to combat the spice; it's a sweet & spicy combination we love! 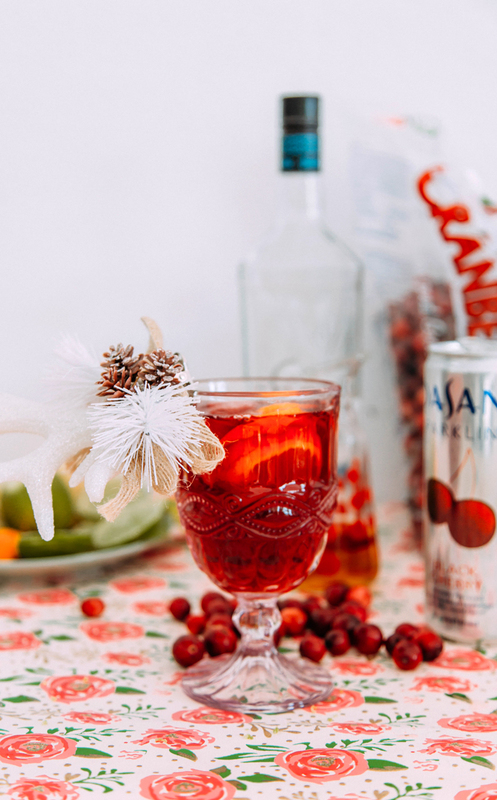 Top with DASANI® Sparkling Lime water & lime zest for a Cranberry Margarita worthy of any festive taco night you might be having this holiday season. The next Cranberry Margarita variation we came up with is a tropical holiday drink that will instantly transport you from the snow to the beach in just a couple sips. To make the margarita, add 2 oz orange juice to the recipe above. Place the sugared cranberries in the margaritas to top them off. The sugar melts off but leaves a sweet garnish to the drink. Top with the DASANI® Sparkling Tropical Pineapple water. The last variation is a black Cherry Currant Cranberry Margarita which would be LOVELY served as a party drink for the big night of festivities. To create this version of the Cranberry Margarita, add in 2 oz of rum in place of the Triple Sec in the above recipe. The switch makes a drink that instantly tastes like holiday fun. Garnish with fruit slices for a look that's every bit as festive as the taste! 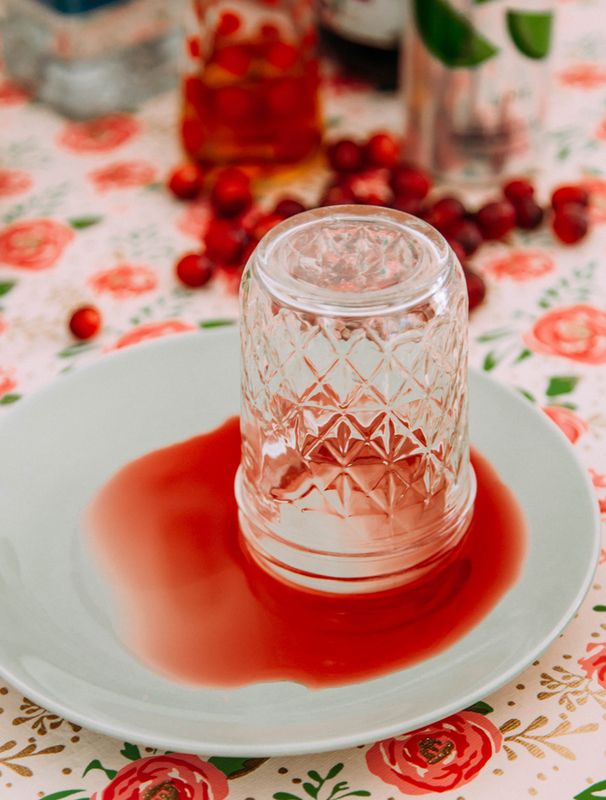 For the rim of the glass, we like using cranberry juice in place of water for an easy way to bring the flavor quickly to our lips. 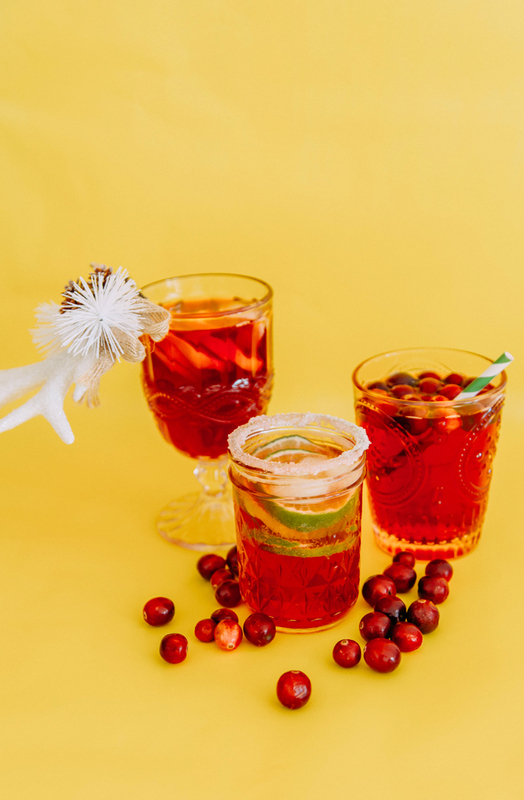 Sugar is always nice to top a margarita with, but here are another few ideas for making your glasses festive this season. 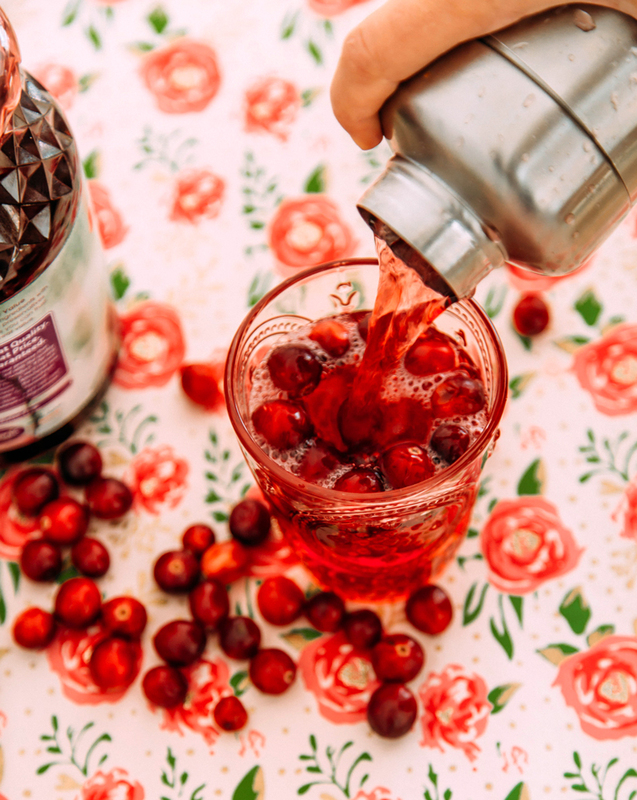 Head over to Safeway to purchase everything you need to set up a festive bar and serve Cranberry Margaritas any way you choose this season. Have fun finding your favorite flavor and making the margarita you choose sparkle! They are a fabulous way to get everyone in the holiday spirit.